An electrical circuit is a continuous loop. Household circuits carry electricity from the main service panel, throughout the house, and back to the main service panel. Several switches, receptacles, light fixtures, or appliances may be connected to a single circuit. Current enters a circuit loop on hot wires and returns along neutral wires. These wires are color coded for easy identification. Hot wires are black or red, and neutral wires are white or light gray. 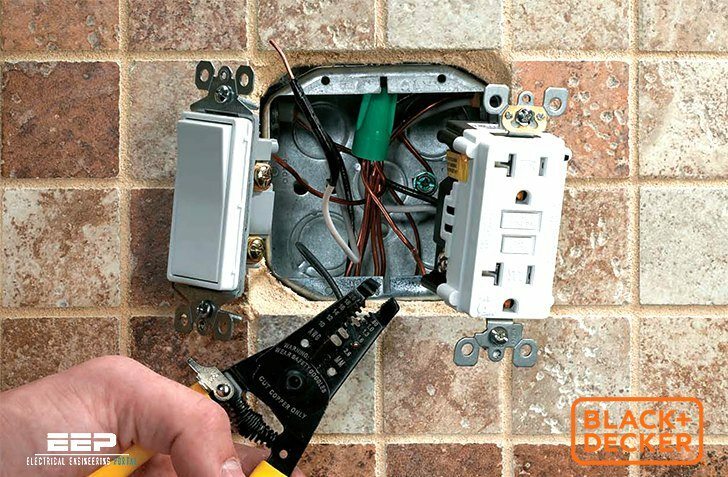 For safety, all modern circuits include a bare copper or green insulated grounding wire. The grounding wire conducts current in the event of a ground fault and helps reduce the chance of severe electrical shock. 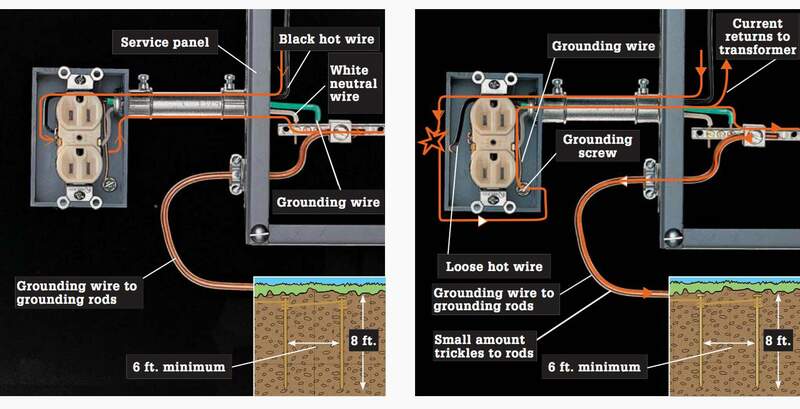 The service panel also has a bonding wire connected to a metal water pipe and a grounding wire connected to a metal grounding rod, buried underground, or to another type of grounding electrode. If a circuit carries too much current, it can overload. A fuse or a circuit breaker protects each circuit in case of overloads. Current returns to the service panel along a neutral circuit wire. Current then leaves the house on a large neutral service wire that returns it to the utility transformer. Electricity always seeks to return to its source and complete a continuous circuit. Contrary to popular belief, electricity will take all available return paths to its source, not just the path of lowest resistance. 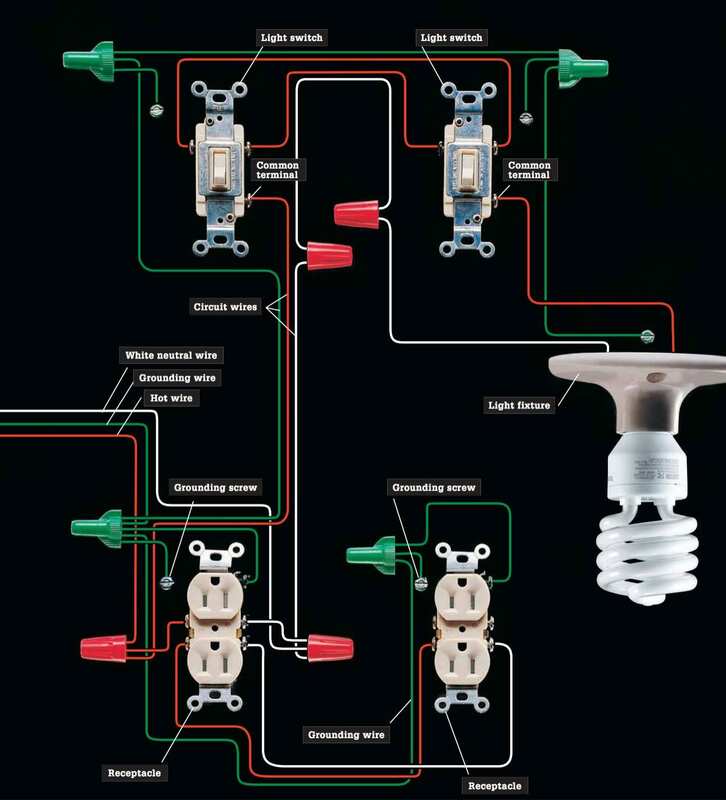 In a household wiring system, this return path is provided by white neutral wires that return current to the main service panel. From the service panel, current returns along the uninsulated neutral service wire to a power pole transformer. 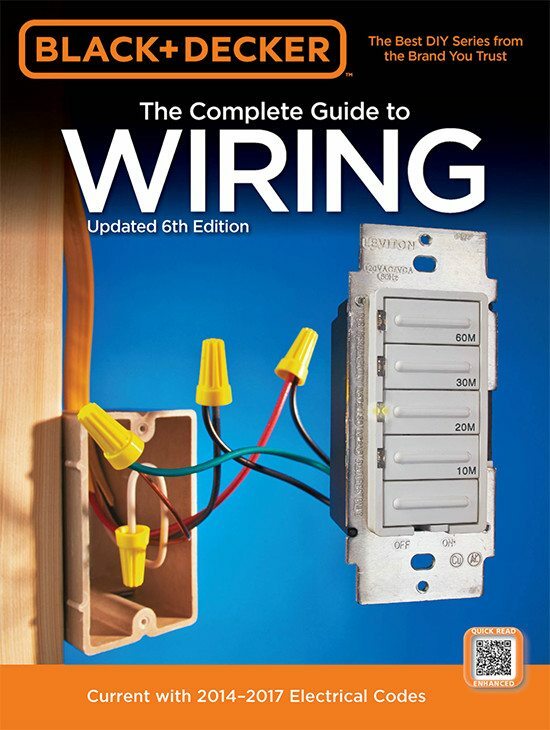 You will see the terms grounding and bonding used in this and other books about electricity. These terms are often misunderstood. You should understand the difference to safely work on electrical circuits. LEFT: Normal current flow – Current enters the electrical box along a black hot wire and then returns to the service panel along a white neutral wire. RIGHT: Current is detoured by a loose wire in contact with the metal box. The grounding wire and bonded metal conduit pick it up and channel it back to the main service panel, where the overcurrent device is tripped, stopping further flow of current. Most current in the bonding and ground system flows back to the transformer; some may trickle out through the copper that leads to the grounding node. Bonding connects the non-current-carrying metal parts of the electrical system, such as metal boxes and metal conduit, in a continuous low-resistance path back to the main service panel. If this metal becomes energized (a ground fault), current travels on the bonded metal and quickly increases to an amount that trips the circuit breaker or blows the fuse. The dead circuit alerts people to a problem.